In 1997, the City of Staunton passed an ordinance to establish local architectural review to protect exterior architectural features within Staunton’s nationally registered historic districts. Since that time, Staunton has seen unprecedented preservation and rehabilitation. 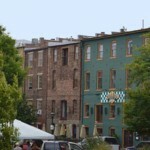 This compact urban area retains its 19th century charm and “Main Street” ambience. 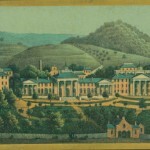 Although Staunton was founded in 1747, most buildings date from the “boom” years between 1870 and 1920. Downtown Staunton has one of Virginia’s finest collections of Victorian era architecture. The corner of Beverley and Coalter Streets was called Gospel Hill in the late 1790s when religious meetings were held there at Sampson Eagon’s blacksmith shop. Today, the intersection marks the heart of a gracious neighborhood of shady streets and elegant homes that represent a century of domestic architectural styles. Deeded to the city by Alexander St. Clair in 1878, this area was called Newtown to distinguish it from the original part known as Oldtown. 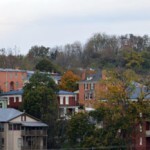 Staunton’s oldest residential area encompasses the grounds of Stuart Hall School, historic Trinity Church, the landmark Stuart House and the city’s first black church. 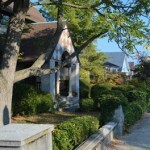 This diverse older neighborhood adjoins the campus of Mary Baldwin College and the former Staunton Military Academy. Rich in historical associations, it boasts a number of buildings listed in the National Register and some of the steepest hills in town. Deeded to the city in 1803 by Judge Archibald Stuart. Villages of Staunton is the city’s newest historic district. 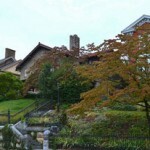 What was once Western State started in 1832 with buildings designed by Thomas R. Blackburn, this grand site is being redeveloped by Robin Miller, Dan Gecker and Miller & Associates. The rehabilitation of the Bindery won HSF’s 2008 Commercial Rehabilitation Award. 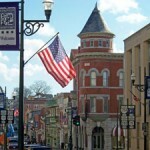 Read more information on the Villages of Staunton. When the Virginia Central Railroad was built in 1854, it changed Staunton from a rural village into a booming center of commerce. By the turn of the century, warehouses were built around the train depot supplying everything from fresh produce to wagons and harnesses.